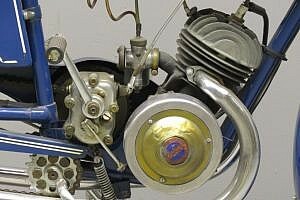 In 1916, in the middle of the first world war, engineer Joseph Monet and Adrien Goyon, a wealthy inhabitant of Macon, formed a partnership with the aim to start the production of three wheeled vehicles for handicapped and immobilized people: a market that would be fast growing till the end of the war in 1918. The firm of Monet&Goyon was established on April 2nd, 1917 . Business went well, and in 1919 a motorized version of their vehicle was brought out, powered by a 117 cc motorized wheel. 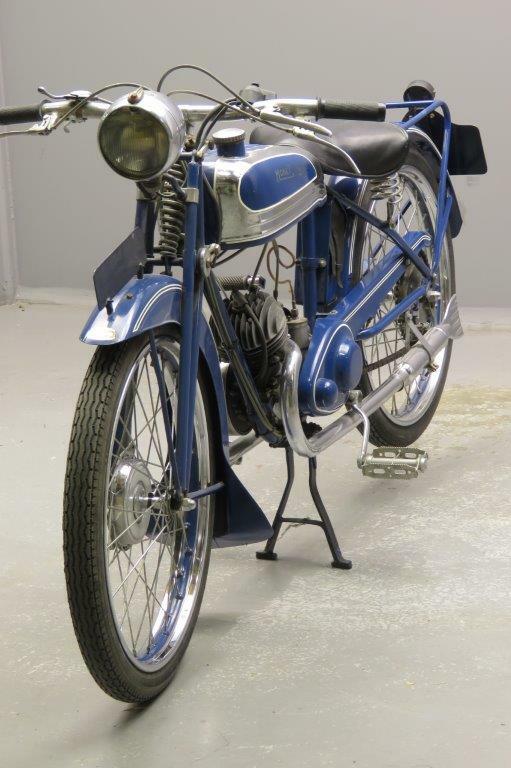 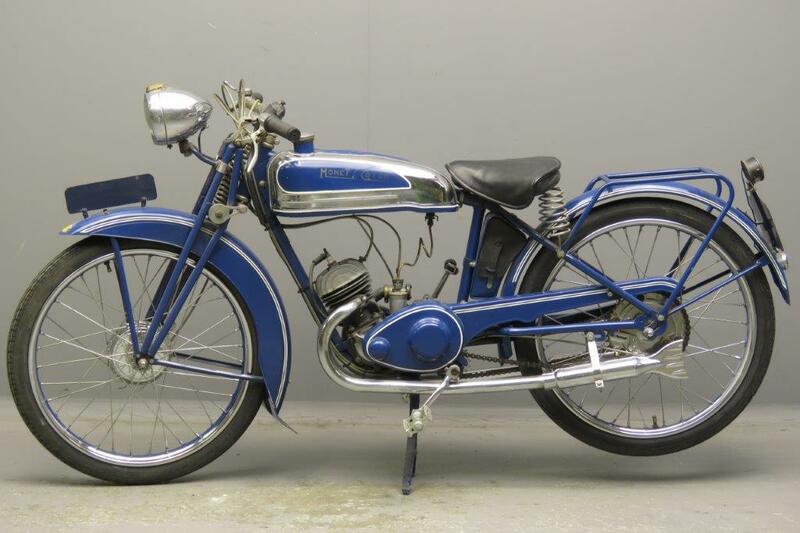 In 1922 the company managed to get the production rights for the popular British Villiers two stroke engines. 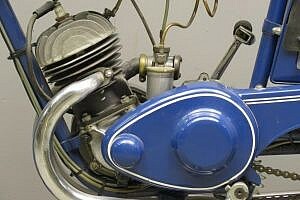 Monet &Goyon was very successful in races with specially tuned Villiers engines; they won the French championship every year between 1924 and 1927. They also set a number of world records with these machines. 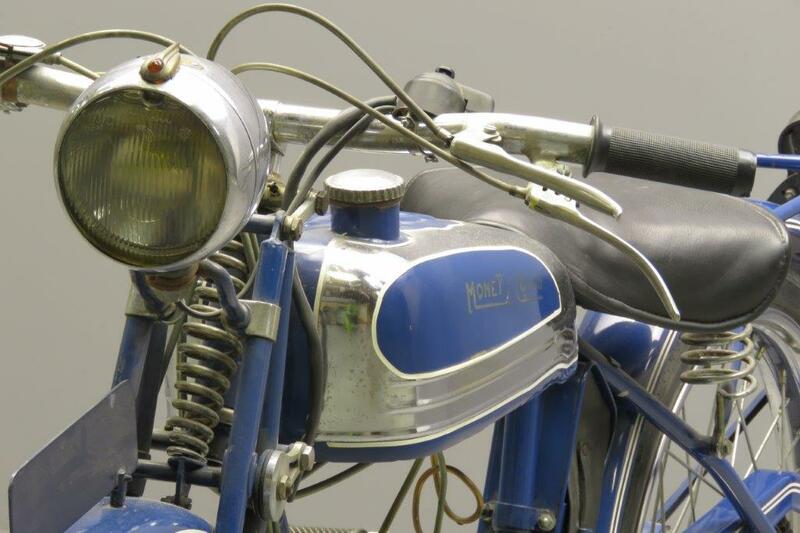 In the thirties a number of different models was made but the most popular models were the light “velomoteurs”. 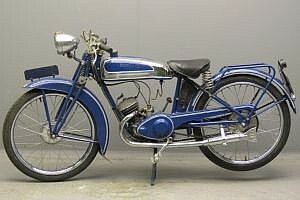 The “S” series was brought out in April, 1936. The S1 was a single speeder, the S2 had two speeds and the S3 a comfortable 3. 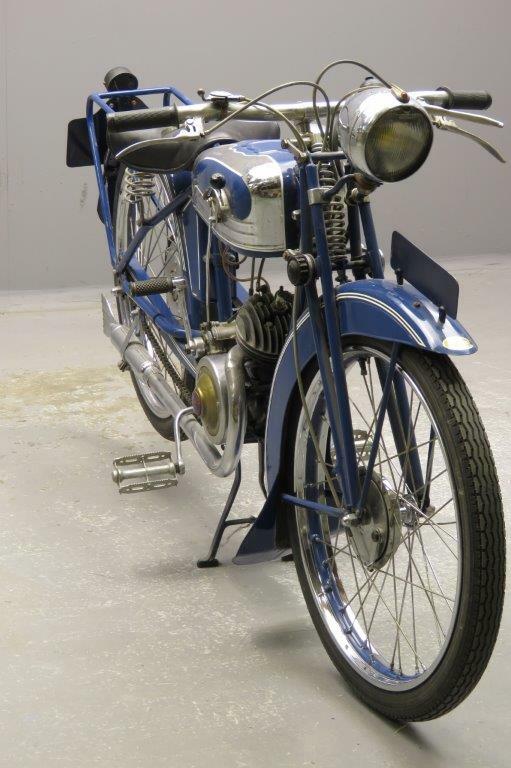 The 3-speed model was built for two years, in 1937 and 1938. 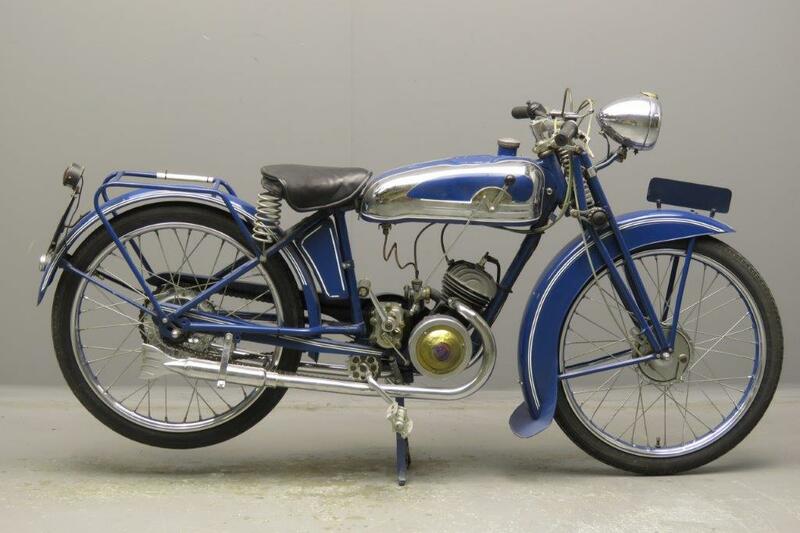 This thirties lightweight has been restored a number of years ago and is in fine shape.